After we returned from our recent Ultimate Karma Busting & Miracle Manifestation Trip to India (October 2012), two of the attendees from the trip (Adam and Vani) kindly shared their amazing testimonials after we had spent just 10 minutes meditating at Siddha Patanjali’s samadhi shrine at Rameshwaram. Siddha Patanjali exists eternally in His Light form at His samadhi shrine, ever ready to help sincere seekers in their spiritual evolution. This is also the sacred spot where Dr Pillai (Baba) attained self-realization as a young boy. When we returned to Singapore after the trip, both Adam and Vani separately shared their miracle of experiencing Siddha Patanjali’s living presence with them during their respective meditations. Being able to visit Rameswaram and bathe in the 22 wells to dissolve my karma was a rare opportunity but being given the chance to meditate for (just) 10 minutes at Patanjali’s shrine within the temple complex was beyond my expectations. Recently, on an early Sunday morning at about 2.00 am after my return from Rameswaram, I meditated using Patanjali’s technique which Mohini had taught in one of her seminars. When I called upon Patanjali to get his blessings at the start of the meditation, I could feel my consciousness becoming peaceful and a feeling of serenity that I have never felt before. While in previous meditation practices I felt out of focus, this time I felt alert and spiritually guided. I could tie my thought to one spot without any problems and my visualization became vivid. Most profound of all, I felt I was not alone and there was a feeling of assurance from a master. I was in total bliss. The fact that I am able to connect with the Father of Yoga Himself in my own private space is a wonderful feeling. I believe that while I was meditating at Patanjali’s shrine, I was also absorbing His energy and now whenever I use His meditation techniques, I am drawing that same energy which connects me to Him. This whole experience is priceless. Journey with us into mystical realms of India where you will have direct encounters with Siddha masters, perfected beings who live among us in their Light Body form. On this journey, you will spend extended periods of time in meditation at sacred powerspots (often secret and inaccessible to the masses) and directly commune with such Siddha masters who are ever so waiting to bless you with divine gifts and supernormal abilities in order to help you in your personal spiritual and material evolution. Click on this picture to watch Mohin explain about her divine experiences at a siddha samadhi shrine. 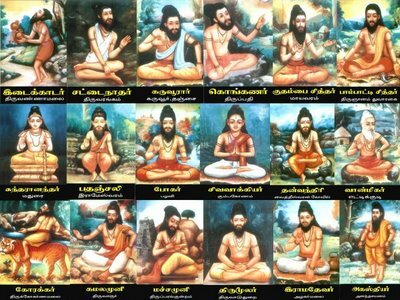 Click on this picture to watch Dr Pillai (Baba) speak about Coutralam and the siddhas. According to Baba, the siddhas are so powerful that even the gods and goddesses do not dare displease them. Be willing to sit in meditation / communion between 1 to 2 hours at each of the Siddha samadhi shrines we will be meditating at. This is important because we will be meditating closely together as a group at such samadhi shrines. If you are not willing to sit in silence for 1 to 2 hours and know that you will get restless, this will disrupt the meditation of other trip attendees. Hi,I check your new stuff named “Siddha Patanjali Is Now With Me After Meditating Just 10 Minutes at His Samadhi Shrine – Adam’s Testimonial | Dr Pillai (Babaji’s) Asia Community Blog” on a regular basis.Your writing style is awesome, keep it up! And you can look our website about love spell.